For the last 28+ years I have been overwhelming blessed by God to serve Grace Baptist Church as pastor. Each passing year seems to reveal more of God’s kindness to me in assigning me this post. The church is well-named because apart from the power of His active love toward us in Christ, we would never have made it this far together. I elaborated on that a bit in an interview a few years ago on my 25th anniversary at the church, so I will spare further commentary on it at this point. Suffice it to say that I am coming back from my month-long sabbatical refreshed, encouraged, hopeful and grateful with renewed confidence in the abundant grace of God as I look forward to the future. 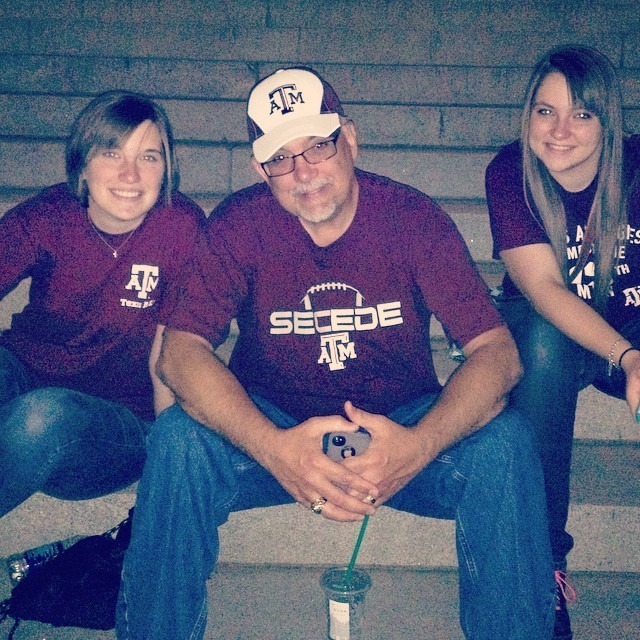 After spending most of my time away in more serious, quiet pursuits, today I am in Columbia, South Carolina with my wife and two of my daughters, preparing to take in the A&M v. USC football game. The timing fit perfectly with our travels so we decided to veer into the Palmetto State whose motto, “Dum Spiro Spero,” expresses my own outlook very well. It’s been years since I have attended an Aggie game and it’s the first one for my youngest. We have enjoyed South Carolinian hospitality as well as watching the strange expressions by locals as they encounter various Aggie traditions. There’s a saying about Aggie Spirit that goes like this: From the outside looking in, you can’t understand it. From the inside looking out, you can’t explain it. The past 24 hours in Colulmbia has confirmed that. 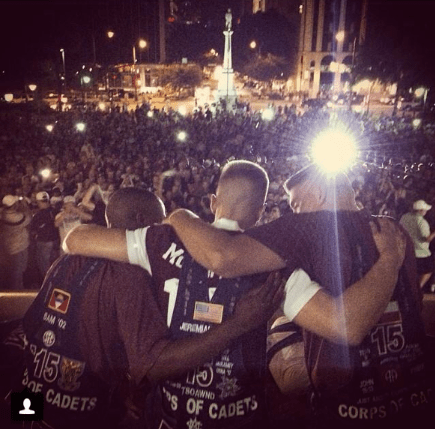 Last night’s Midnight Yell practice was held on the steps of the state capitol building (or as one of the Yell Leaders put it, “what looks like a state capitol, only smaller”). Local newscasters reported it as if it were an attempted coup by the Republic of Texas. At least a dozen state troopers were there and earned the easiest overtime pay they ever will. A couple of hundred USC fans showed up and tried to disrupt the 2-3 thousand Aggies who gathered for one of our oldest traditions. Their cheers were cute and it was all in good fun. One local sportscaster reported today that “Big Spur,” the USC mascot, has a special surprise planned for Reveille (whose name he butchered by calling her “Re-vi-el”). I’m hoping that it’s a big, fat egg, indicative of how the USC football team will play. Regardless, I anticipate a good game in the wonderful venue of William Brice Stadium (it’s like a football stadium, only smaller) as the SEC Network kicks off its inaugural season. Local schools are letting out at noon today in anticipation of huge traffic jams due to all the tailgate parties. Perhaps it is just my hard-earned, perennial Aggie optimism, but I feel pretty good about our chances against the number 5 team in the nation today. In fact, I’ll go out on a limb here and predict that there will be lots of people in Bryan-College Station tonight enjoying free furniture. Either way, if you watch the game today, look for me. 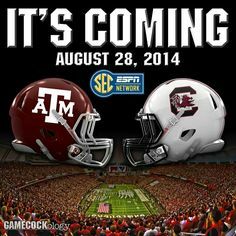 I’ll be the guy wearing the maroon and white.